As for the lack of the mention of Trump, that didn't stop the presenters and awardees from being political and criticizing him indirectly. 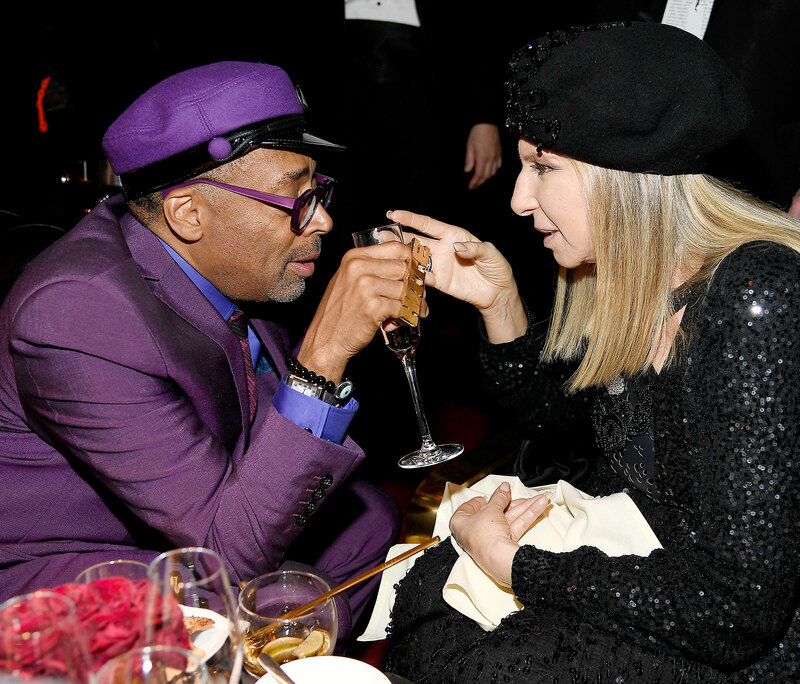 Barbra Streisand spoke about truth being under attack and Spike Lee implored the audience to "do the right thing" and go to the polls next year. The entertainment professionals in the hall and many of the viewers at home knew exactly who they were referring to and what to do about it. Now it's time for me to write Watch Spike Lee’s Oscars 2019 Speech for BLACKkKLANSMAN. Watch Spike Lee’s Oscar 2019 Acceptance Speech. He joins Charlie Wachtel, David Rabinowitz and Kevin Willmott to accept the Oscar for Writing (Adapted Screenplay) for BLACKkKLANSMAN. Despite not mentioning Trump by name, the president reacted, as Deadline Hollywood reported. Trump, who was up particularly early to give his view on the Oscars, hasn’t yet commented on the other stars and presenters that made subtle digs at the Commander-in-Chief including Barbra Streisand, Javier Bardem and Maya Rudolph. Trump certainly understood that Lee was talking about him, even if Lee never mentioned him by name. As for Trump calling Lee racist, I think he's projecting. I already listed Streisand as making an indirect attack on Trump, so here she is introducing BlacKkKlansman in which she said "truth is especially precious these days." Watch two time Academy Award winner Barbra Streisand introduce Oscars 2019 nominee for Best Picture BLACKkKLANSMAN. Now, here are Tina Fey, Maya Rudolph, and Amy Poehler's Oscars Opening 2019. Listen for Rudolph quipping "Mexico will not be paying for the wall." Tina Fey, Maya Rudolph, and Amy Poehler kick off the Oscars 2019 with some comedy about this year's crop of movies as they arrive to present the first award of the evening. Javier Bardem also sniped at the border wall, saying in Spanish “There are no borders or walls that can restrain ingenuity and talent,” while introducing Best Foreign Film. I had one other comment about Trump and awards shows. In contrast, the movie awards show that had no problem mentioning Trump were the Razzies, which nominated "Death of a Nation" and "Fahrenheit 11/9" four times each, including two shared ones for Donald Trump. They followed through, as "Fahrenheit 11/9" won three Razzie Awards, two for Trump and one for Kellyanne Conway, while "Death of a Nation" shared two of them, both for Trump, as Worst Actor and Worst Screen Combo with his "self-perpetuating pettiness." Conway won for Worst Supporting Actress, beating Melania Trump. Despite my best search efforts, I could find no mention of Trump reacting to his Razzie "wins." I guess he thinks they're not that important. I have more of that recycled comment about the Academy Awards to share, so stay tuned. *I was able to write this comment thread yesterday, but had to leave the house before I could post it here and didn't return until midnight. That's why I skipped posting yesterday. Don't worry; everything is fine, although it's a rare day that I don't post to this blog. This is an English-language blog, so comments in languages other than English will be deleted. This goes double for spam. Even being the first Turkish-language spam in the 8-year history of the blog won't let this be spared.